In the normal eye, light is focused on the retina in the back of the eye. Myopia occurs either because the eyeball is too long, or the cornea (front of the eye) too curved, both cause light to focus in front of the back of the eye (retina), which causes blurred distance vision. Myopia is not a disease, nor does it mean that you have “bad eyes.” There are few perfectly shaped eyes, just as there are few perfectly shaped or aligned teeth. It simply means that you have a normal variation in the shape of your eyeball. Myopia can only be detected by an eye exam. This is especially important with kids, as they may not realize their vision is blurred, because they think everyone sees as they do. As with other refractive errors, glasses are prescribed to help focus light more effectively on the retina. 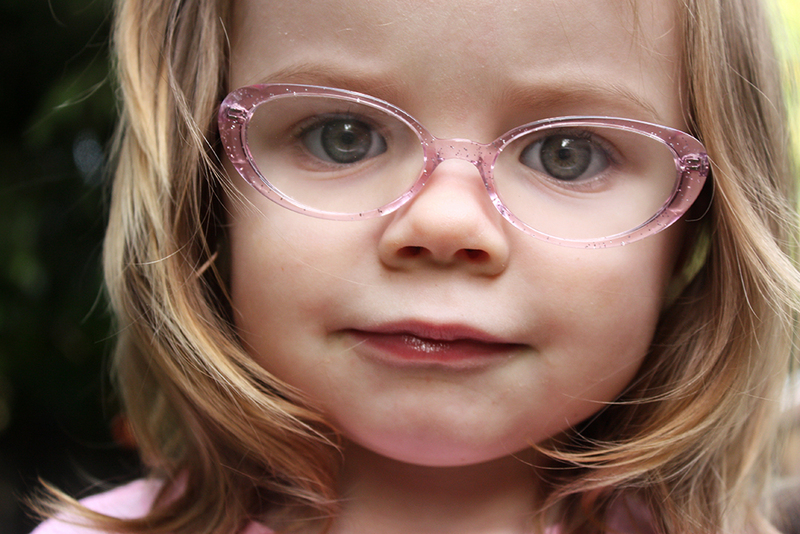 Depending on the degree of myopia, glasses may be needed all of the time for clear vision. If the degree of impairment is slight, glasses may be needed only for activities that require distant vision, such as doing board work at school, driving or watching TV. Contact lenses and LASIK (adults only) are also excellent options for myopic patients and should be discussed during your examination. Avoid referring to the child's eyes as "bad eyes." Instead, tell the child that they just bend the light differently and corrective lenses are needed to help focus light rays. 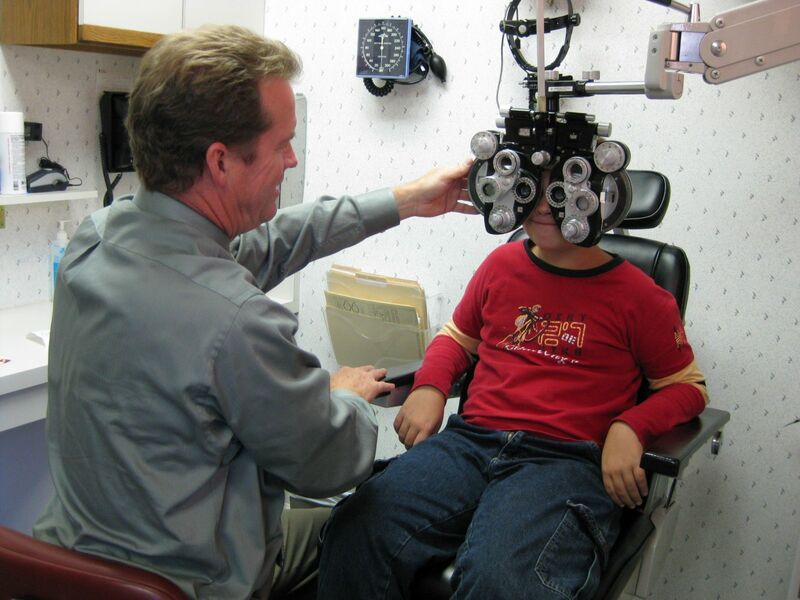 Letting the child verbalize concerns may also help adjustment to change vision. Consider contact lenses (usually between the ages of 12-14) as a viable option for all myopic patients. Maturity is the main factor if a child should be fit with contacts. 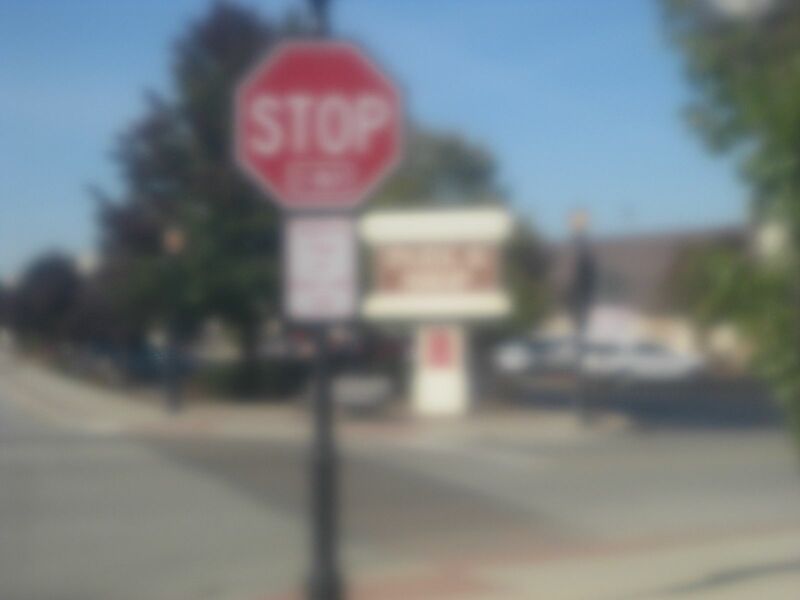 Hyperopia, or farsightedness, is when light to focuses on the back of the eye (retina). A farsighted person can focus well on distant objects more easily than near objects. This can be an underlying source of eyestrain. Just the opposite of nearsightedness, the eye in hyperopia is either too short or the cornea (front of the eye) is not curved enough. Genetics is also a factor. Unlike myopia, farsightedness can easily go undetected. Because kids have a larger degree of focusing power that adults, it often goes undetected in a school screening, because they can subconsciously compensate. However, this can be a great source of eyestrain. That is why a comprehensive eye examination is so important. Hyperopia can be the main cause of poor school performance and can only be diagnosed with a complete eye examination. 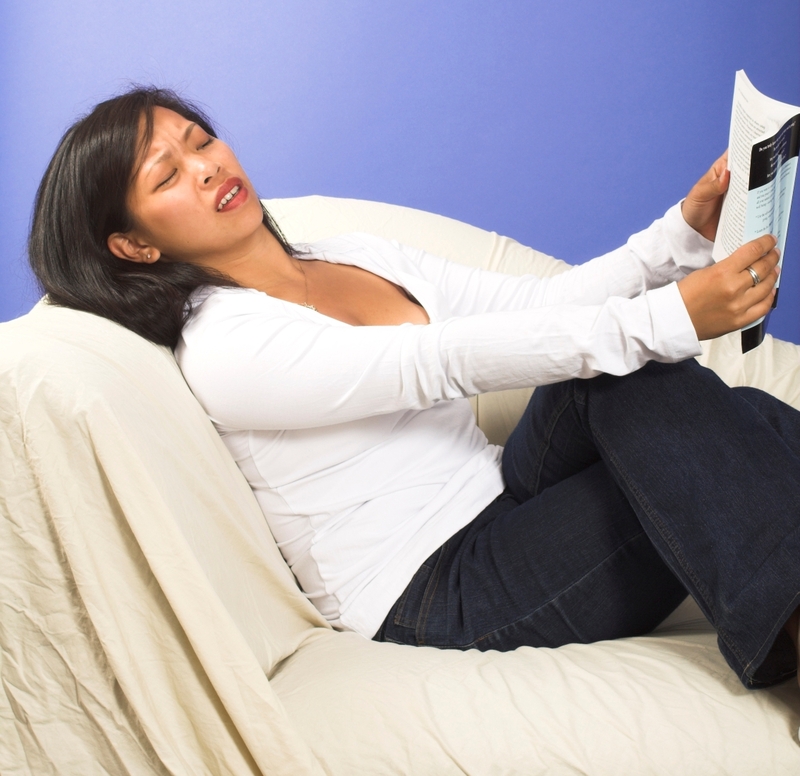 FARSIGHTED EYE; often one can still have 20/20 vision for distance, but can be a source of eyestrain for reading. A person who is farsighted may have trouble concentrating or focusing on objects close up such as a book or a newspaper. After viewing nearby objects for a long period of time, blurred vision, nervousness, tension, and irritability can occur. A person may not enjoy reading, or if the person is a child, poor reading ability (skills) may be the result. With hyperopia, the eyes need to exert extra effort in order to see objects more clearly. This additional focusing effort can cause tension, fatigue, and eyestrain. Younger people can overcome this because they have the additional focusing ability. It can cause unrealized eyestrain and can be the sole reason for declined reading skills and poor school performance. It may be the reason that its battle to make them do their school work. As one gets older, if the lens of the eye cannot bring objects into focus, blurred vision is the result. Glasses may take the stress out of school. Hyperopia is treated with glasses, contact lenses, and LASIK (for adults). The best option for you depends on your individual lifestyle and needs. During your examination, we will ask you a number of questions to help determine the best course of treatment. You may be asked to describe your usual lifestyle or daily activities. If your occupation involves reading the fine print for most of the day, correction of the problem might involve different options that might be considered for a person who is not as dependent on near vision. Your lifestyle, occupation, types of recreational activities, and your general health status will give us clues about the what type of treatment will be best for you. A comprehensive eye examination at the recommended intervals ensures that minor changes in vision can be diagnosed and treated so that your vision will remain as clear and comfortable as possible. 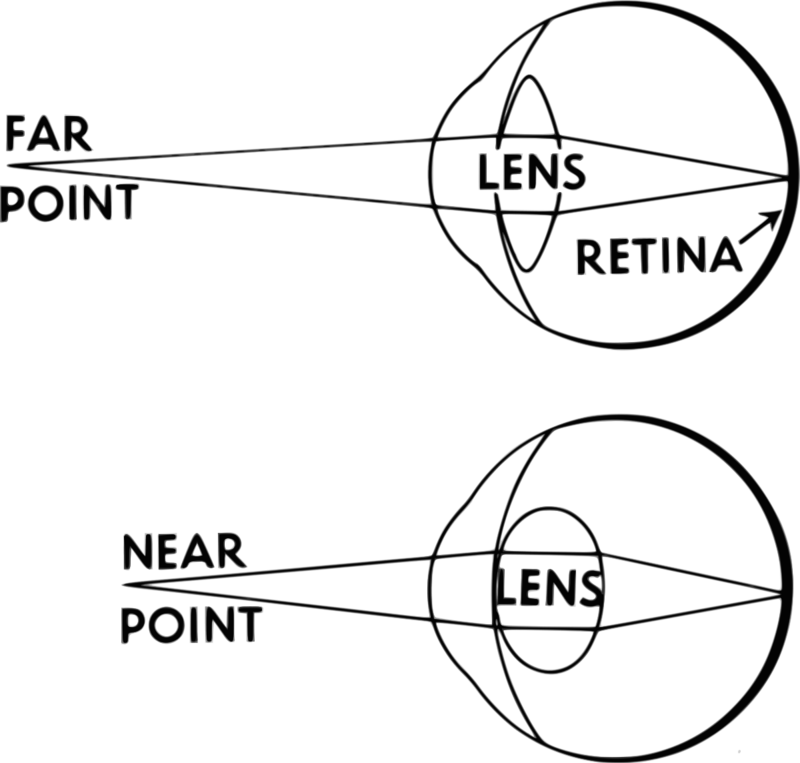 The front of the eye is shaped like a football, with two different curves, which splits light into two focus points. 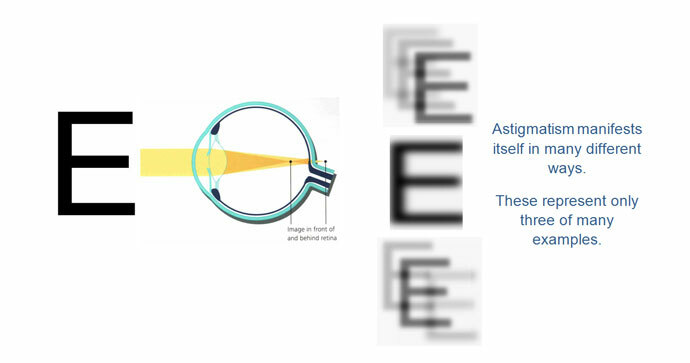 Graphic of astigmatism and its corresponding vision, (shadows or ghost images). Some just complain of blurred vision. 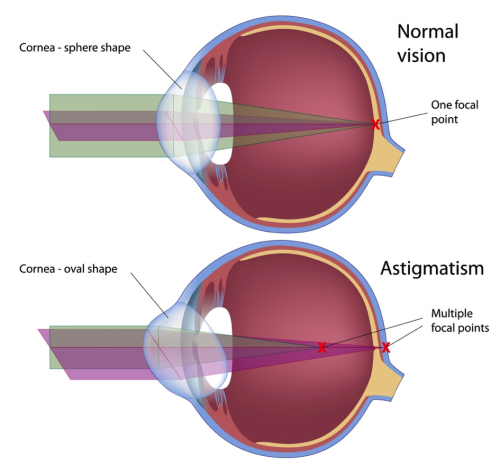 As with all the refractive errors, astigmatism can be treated with glasses, contact lenses or LASIK (for adults). The degree of astigmatism will be determined during the examination. 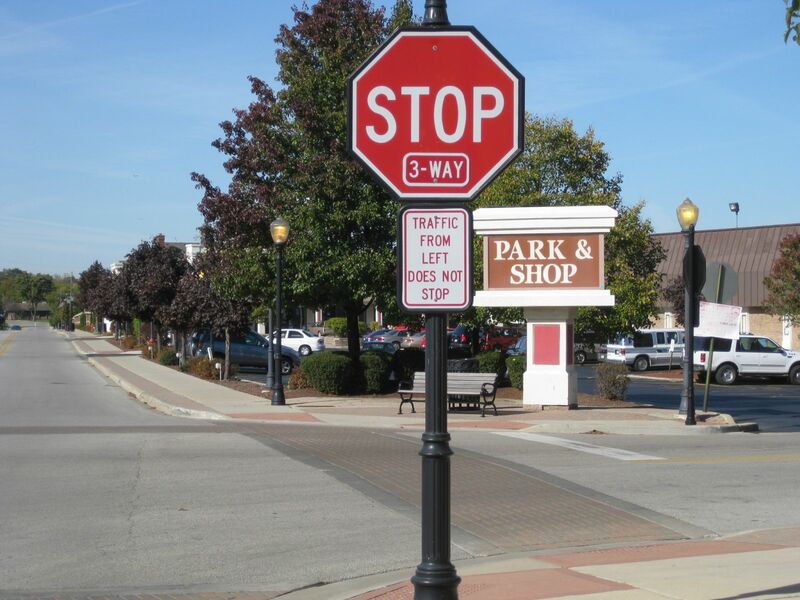 Some may need to use a correction for distance only, or just for reading. Some may need to wear a correction all the time. 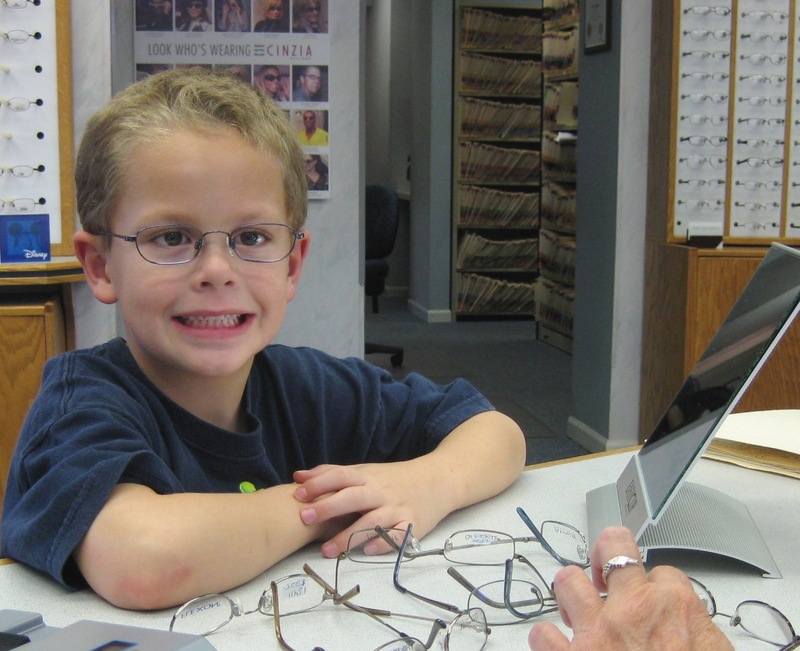 If there is a family history, an eye examination is needed by age two to ensure that the eyes will not develop normally and not result in amblyopia or lazy eye. Presbyopia is a condition of vision in which the normally flexible lens inside the eye, due to age, becomes stiff and can no longer change shape to bring clear reading vision. It is usually first noticed when one is subconsciously extending their arms to read. This occurs to everyone and begins around 40 years of age. As we age, body tissues normally lose their elasticity. A familiar sign of that process is wrinkled skin. Our eyes are not immune to that type of change. Likes wrinkles, changes in the eye do not occur overnight but take place gradually over a period of years. When you experience a change in vision, you may feel as though it happened suddenly. A condition such as presbyopia actually develops slowly; it just had not impaired your vision enough for you to notice. be the first indication of presbyopia. change shape to bring things into focus. The lens, an important partner in the process of sight, is responsible for focusing light on the retina. In youth, the lens is flexible; with the help of tiny muscles in the eye, it quickly and seamlessly focuses for both near and distant objects by bending or flattening out when needed to bring a clear focus to the eye. 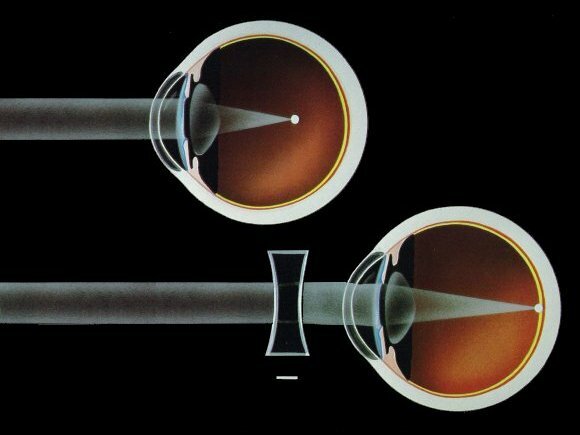 With age and the accompanying loss of lens flexibility, it becomes more difficult for the lens to bend to a greater degree. In addition to a loss in ability to bend, the lens responds more slowly with age. Therefore, it not only becomes difficult for the eye to focus on near objects, which require a greater degree of flexibility. another symptom is the eye also does not adjust rapidly to changes in focus. For example, if you are sitting a reading the newspaper, when you change your gaze to the TV, it may be blurry. Although presbyopia mimics the symptoms of hyperopia (farsightedness), it is completely different. Presbyopia is caused by a loss of elasticity in the LENS of the eye. It happens to EVERYONE at some time or another. Reading glasses or contact lenses. LASIK is usually not an option. 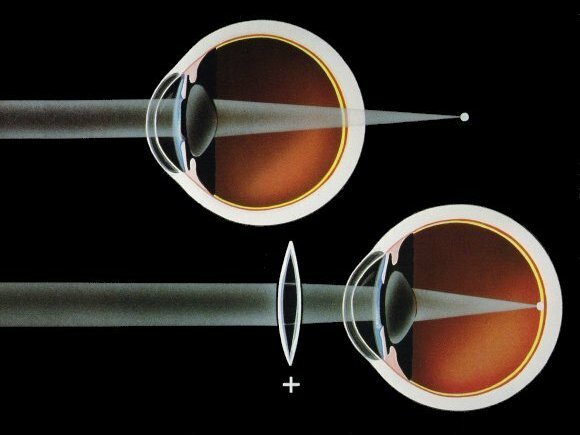 There are other refractive procedures that can replace glasses or contacts. If you do not have other vision problems, such as nearsightedness or astigmatism, you may only need to wear glasses for reading or doing other tasks done at a close range. If you do have other refractive problems, bifocal or progressive addition lenses are often prescribed. Contact lenses are also a preferred option for many people, either bifocals or monovision. With monovision one eye is corrected for distance viewing, and the non-dominant eye is corrected for close work. This works well for many people. Some patients can't tolerate it at all. We can determine that during your examination. Technology in bifocal contact lenses has greatly improved in recent years. If they work properly, you will not even know that they are in your eye. THE BEST OPTION FOR YOU DEPENDS ON YOUR INDIVIDUAL NEEDS…Our staff and eye doctors may ask you a number of questions to help determine the best avenue of treatment. You may be asked to describe your usual lifestyle or daily activities. If your occupation involves reading the fine print for most of the day, different options would be considered than for a person who is not as dependent on near vision. So, your occupation, types of recreational activities, and your general health status will give us the clues about the lenses that would best fit your lifestyle.